I tend to get ready in the morning by routine. If I vary from my routine, I might forget to do something! So when my morning schedule changes, like if I have to be somewhere earlier than usual, I tend to forget to let the dog out or to put on my makeup or whatever else. There aren’t many parts to my morning routine. I shower at night because it is hard enough getting ready in the morning without having to take a shower! So that leaves brushing my teeth, putting on makeup, eating breakfast, and getting the kids ready – not necessarily in that order. You know who else believes in a quick and easy bathroom routine? Cottonelle. The Cottonelle Care Routine helps us achieve a higher state of confidence in daily bathroom routines by making us feel fresher, cleaner, and more confident. Even my kids love using these cleansing cloths, which are currently on sale at CVS – as is the corresponding toilet paper! 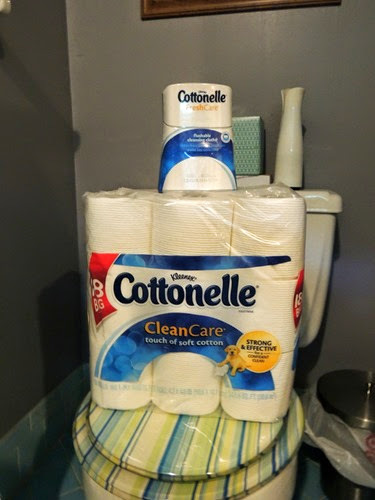 When you shop for your Cottonelle® Flushable Cleansing Cloths and Clean Care toilet paper, be sure to head over to CVS like I did. And, you can save $1.50 just by downloading this exclusive CVS coupon. Click below to get the coupon! This post is sponsored by Cottonelle, but all opinions are my own.